Nose- Youthful rye spices of mint, herbal garden and cloves. Orchard apples and unripened peaches. Bubblegum. Gentle overall and light. Taste– Calm with rye character of pepper and clove with some light sugary sweetness. Finish- Short bubble gum with a dash of barrel char. Comments- Definitely a young whipper snapper, but with little depth of flavor. Decent mixer. Works well in a tumbler. Wasn’t impressed at all. Way to sweet for my palette. Maybe a 60 at best for me. Great Review though. 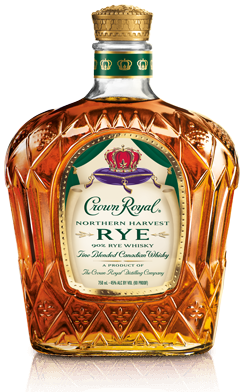 Perhaps not strong enough to stand on its own, but in this fun cocktail culture we find ourselves in, a rye mixer might be well received. I drink whiskey straight myself, but I do know there are those out there who drink it mixed. I call them WRONG! LOL! Not really, I always say the best way to drink whiskey is however you like it, there is no wrong way. Strikes me as a cocktail whiskey… and then started giggling with Mr Murray’s announcing it the world’s best whisky for 2016?! Hm…..
I’ll keep my opinions on that choice fairly quiet for now and just enjoy the fun. It’s making twitter bearable at the moment with everyone freaking out.